The facility’s creation was spearheaded in 1996 by film producer Ramoji Rao, the media mogul and head of the Ramoji Group. It was made at an expense of hundreds of crores of rupees (in India, a crore is equivalent to 100 lakh, or 10,000,000), evident by the sheer magnitude of all the equipment, manpower, and resources for filmmaking available in it. Everything that goes into making a film, whether it be an art film or a summer blockbuster, is available at the mere mention: raw films, cameras, processing labs, editing consoles, and even traveling arrangements and past-times. Such is its resources that, at any given, twenty international films and forty Indian films can be made simultaneously in it. As a tourist attraction, Ramoji Film City takes in revenues amounting billions of rupees. Sites tourists can visit include a Japanese garden, an accurate reproduction of an airport terminal, artifical waterfalls, chruches, mosques and temples, palace interiors, and a winding highway, among others. Tourists can also go to the Hawa Mahal, which is based along the lines of the Golconda Fort, on top of a hilltop. From there, visitors can see a bird’s eye view of the whole studio. Film City coaches can also take visitors on a tour of the whole facility; each tour will give the tourists a chance to get in close with the locales, among which are sets of various blockbuster films and gardens where famous Indian song sequences were choreographed. There is also a prop shop, Parade, where the costumes worn by actors as shown in various films can be ordered, as well as a nursery called Shangrila, where the visitors can take exotic plants back with them. Various restaurants are also available for those who may want to satiate their hungry stomachs. 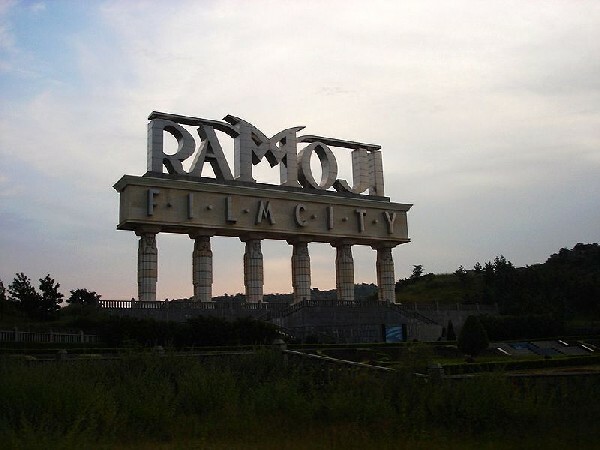 Ramoji Film City is located 35 kilometers away from Hyderabad, towards Vijayawada, on National Highway 9. Local transport can be used to get to the facility.